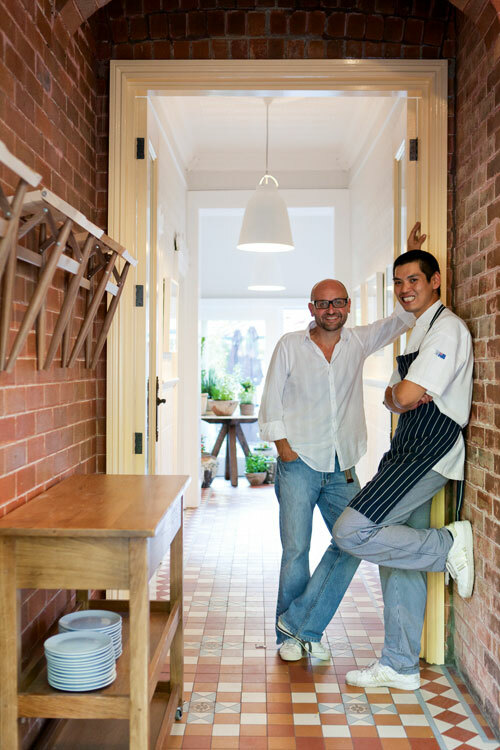 A new restaurant in a posh part of town is causing a stir due to its owner’s pedigree. Quentin Long finds out what all the fuss is about. 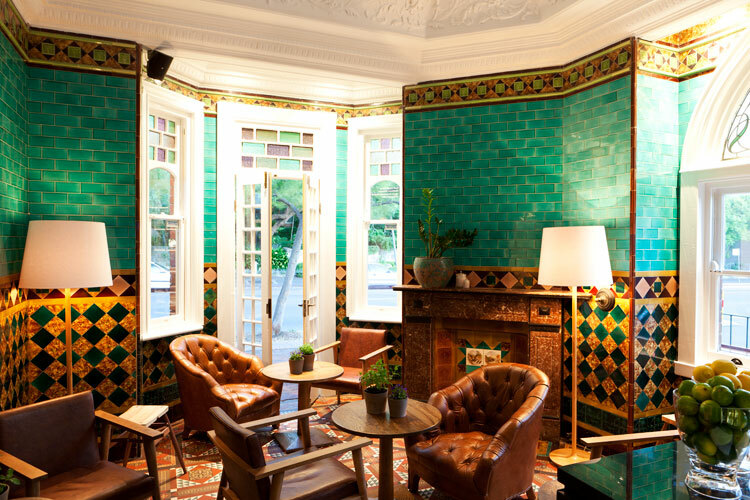 Sydney’s Mosman is one of those suburbs where legend outstrips reality. Those not lucky or wealthy enough to live in the leafy North Shore suburb roll their eyes, raise their pinkies and pronounce it “Moooooooooothman”, sounding like Ita Buttrose on Valium, to parody its posh reputation. So it’s surprising, considering all that disposable income swishing about on Military Road, that until now there has been just one decent posh restaurant here – Il Perugino. 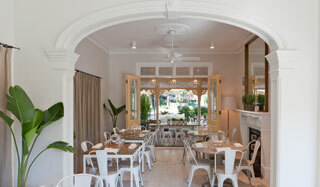 With the opening of Hawthorn Mosman, there are now two. But Sean Byrne, the enigmatic and incredibly successful restaurateur behind it, isn’t pricing anyone out of the market: this is a simple, classic, welcoming brasserie. 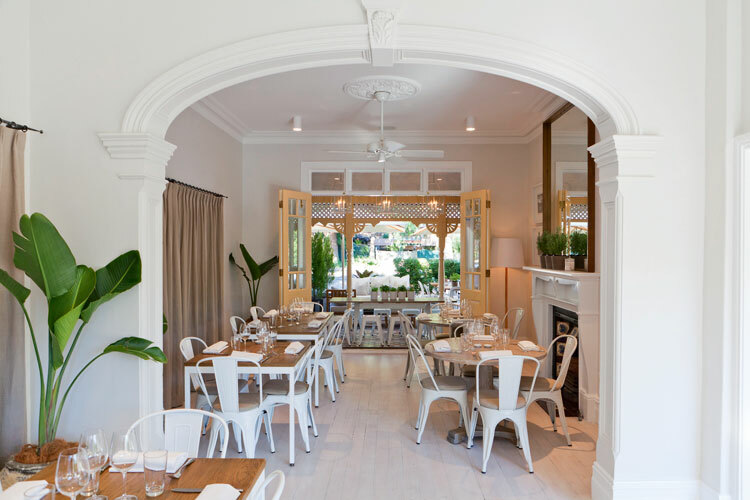 Following Byrne’s amazing 10-year stint as GM at Jonah’s, where he took the iconic Sydney weekender from insular peninsula backwater to one-hat restaurant and luxury getaway, he’s hung his shingle closer to home in his native Mosman. 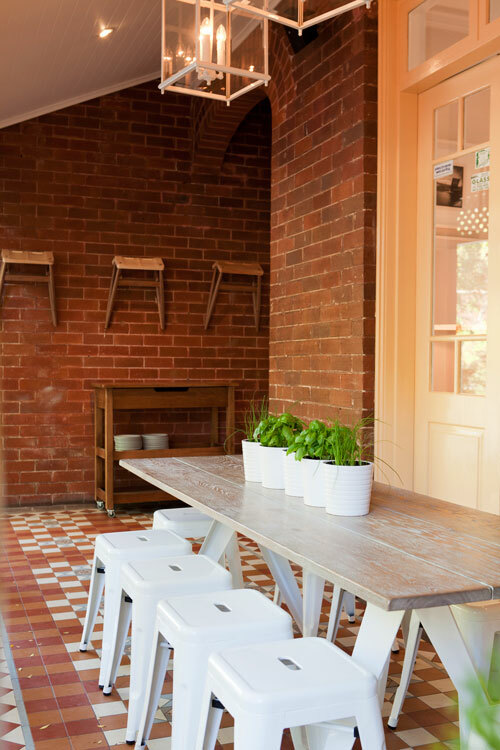 Hawthorn Mosman is set in a quaint heritage-listed cottage in the heart of the village. The Coco Republic fit-out has hit its mark. The dining spaces offer a choice between a leafy, relaxed terrace or a French provincial dining room. It’s winter, so most diners are snugly packed into the white and blond timber dining room. 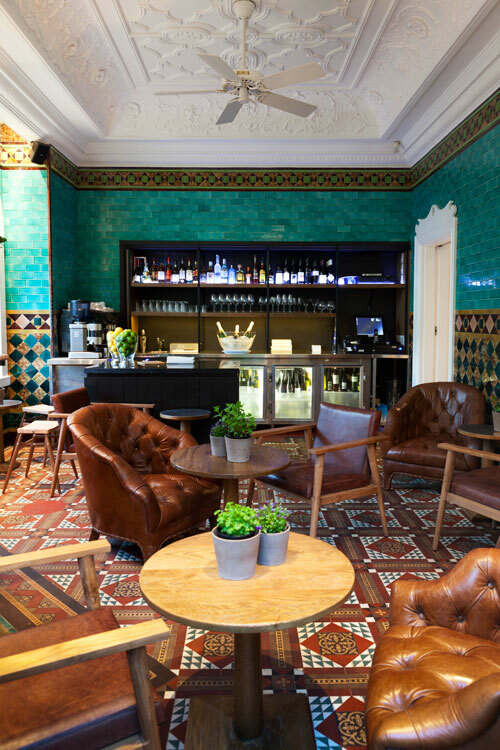 The bar is much more colourful, with deep browns, tortoiseshell and aquamarine tiling in Art Deco patterning. It’s a beautiful space, even if the seating is more crowded than an Indonesian fishing boat headed for Ashmore Reef. The drinks menu is where Hawthorn is most extravagant. There’s a total of 21 wines by the glass and an extensive choice by the bottle, including many international labels. 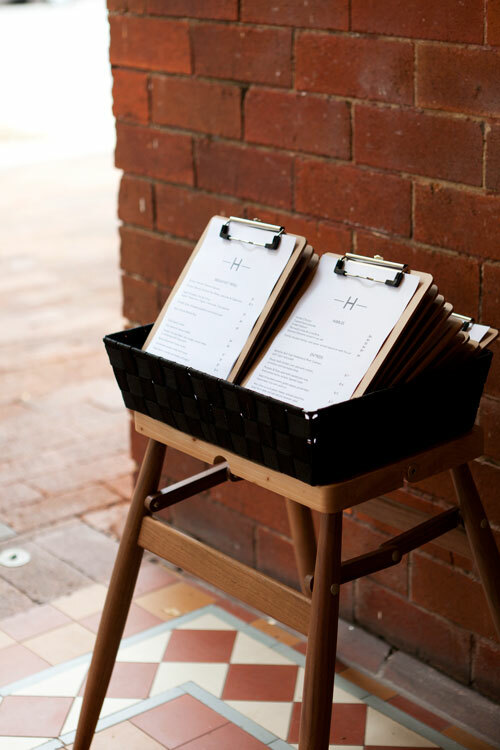 The Hawthorn takes its wines very seriously, as the locals would – one orders food to match the wine, perhaps. The fine bistro menu has just six entrée and nibbles options and five main courses – steak, fish, chicken, pasta or a salad. We share a few nibbles to start. The chorizo ($4) and haloumi ($5) are tasty and prove Mosman doesn’t have to be expensive. A beautiful and delicate salad of Australia’s most celebrated goat’s cheese, La Luna, with red oak leaf, pistachio and lavender ($15) shows that there is great skill and occasional extravagance in the menu. The table is split between the steak and fish. The steaks are cooked to order and without fuss in the serving of a good rib-eye, fries and eschalot butter ($29). The fish of the day, kingfish, is accompanied by sautéed zucchini flowers, baby capers, wilted spinach and blood orange sauce ($26). The fish is slightly overcooked and the sauce doesn’t make enough of an impression. We finish with a baked cheesecake desert, Jaffa cake, and caramel and coconut panna cotta. The pick is the panna cotta, while the baked cheesecake is slightly dry and heavy. 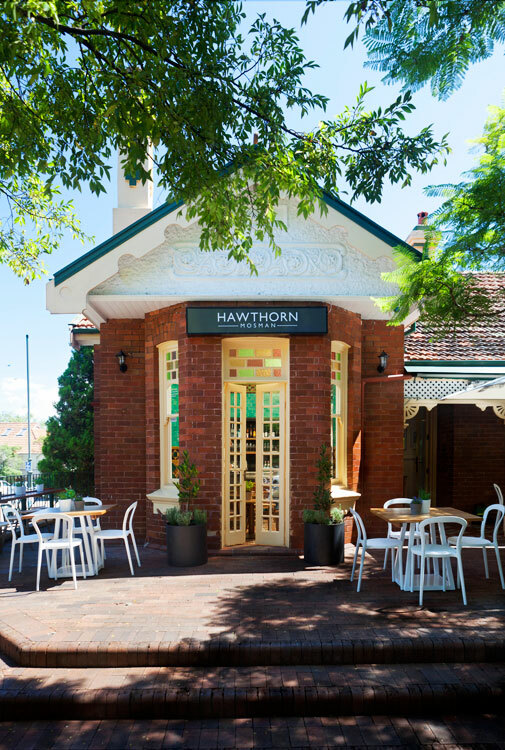 Hawthorn is hitting its mark as a local bistro. It’s relaxed, but with all the required sophistication of Mosman. It’s a great place to catch up with locals, though it wouldn’t drag me across town. The noisy dining room of tables of young and old diners show that the locals are taking to it and that, yet again, Sean Byrne has hit a winner. An enjoyable meal. Great value in a stunning setting. Perfect for catching up with locals. Hawthorn Mosman, 707 Military Road, Mosman. Notes We paid $299 for four including wine (an ’08 Domaine Trimbach, Alsace, $69). Nibbles cost $4-$5, entrees $15-$17, mains $23-$29, desserts $9-$10.